Item10 - Wm. Wexler Intl Pres. B. B. 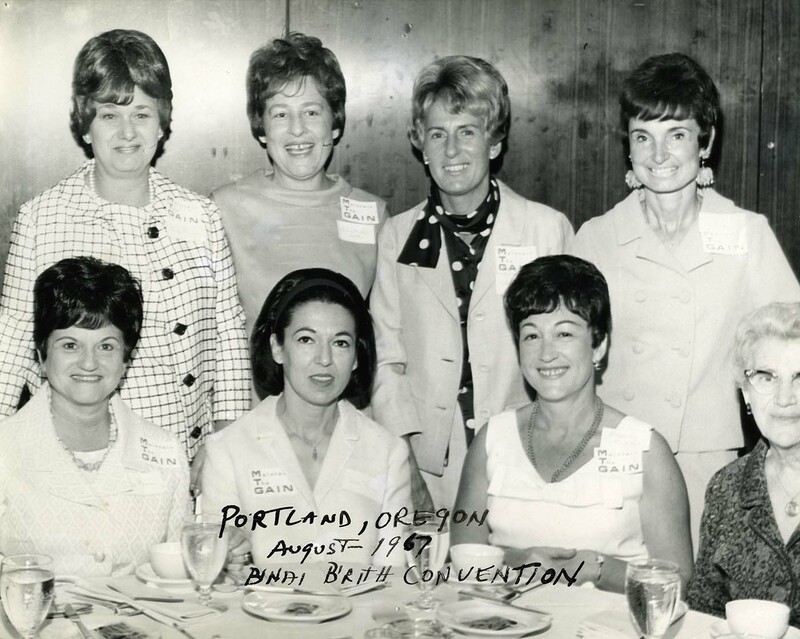 1 photograph: b&w print; 8" x 10"
Photograph depicts Ethel Jackson (back, second from right), Mrs. Dave Jackson (back row, right), and Claire Buller (seated, third from left) and others at a B'nai B'rith convention in Portland in 1967.